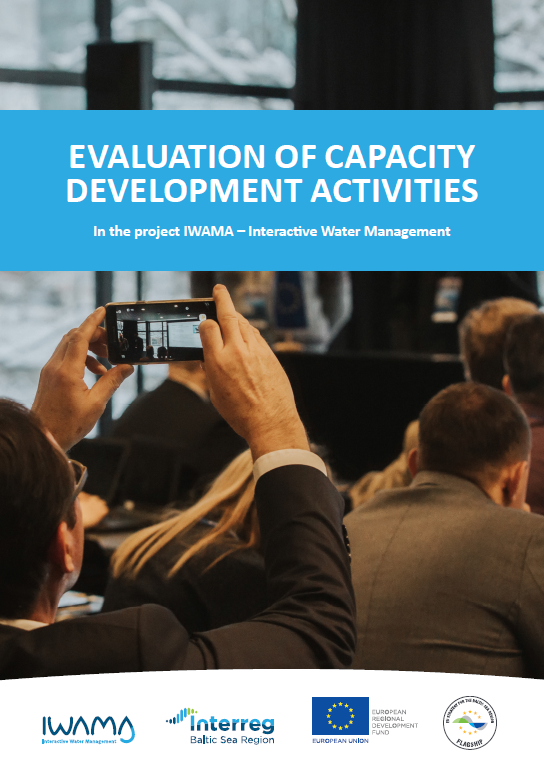 The aim of capacity development activities in the IWAMA project is to enable structured lifelong learning and expertise exchange of the specialists working in the field of wastewater treatment. Capacity development activities consists of international onsite workshops (topics designated in advance after consultation with the partners) and online training webinars (with themes derived from key figure collecting process, energy efficiency and sludge audits). While the workshops provide platform for collective transnational experience exchange and hands on training on sites, webinars allow for more acute reacting to the capacity development needs arising during the project implementation time. Capacity development activities are targeted at the WWT sector professionals, water and wastewater associations, universities and environmental centers that provide training for wastewater experts, as well as to the local and regional authorities that acknowledge the need to improve general performance of the WWT sector through the lifelong learning. Continuous lifelong learning will be implemented in two stages. Firstly, on the national level partner associations, environmental centers and other training/educational organisations will collect information about lifelong learning programmes and possibilities of their improvement in their respective countries. During the project's implementation they will evolve concepts for their national knowledge based communities of water sector experts. Equipped with the experiences of capacity building activities, materials, tools and piloting experiences developed in IWAMA, the first knowledge based communities will apply the improved lifelong learning practices to further increase their training effectiveness. International cooperation between the knowledge based communities will be realised through the project launched Baltic Smart Water Hub which enables effective capacity development and knowledge transfer beyond the limits of project consortium in all the BSR countries. The Hub will utilize training materials and other capacity development tools developed during the course of the project, and provide opportunity to adapt new information and continuous information exchange with wide pool of expersts and stakeholders in the region. This will increase the international knowledge transfer within the community of WWT experts of the BSR. As the result of capacity development activities, a comprehensive training program targeted at WWT operators will be prepared. The content of the training program is based on collective learnings from the project events and results of key figure collection for development of the energy efficiency and sludge treatment benchmarks, energy and sludge audits and investments piloting process. The information will be supplemented by the findings from international onsite workshops and webinars, and compiled into the tailored training materials package which will be tested with different target groups to ensure optimal adoption and relevance. The capacity development activities in the project are lead by Lahti University of Applied Sciences, Finland.